Mephisto | Magazines and Monsters! The character Daredevil is one that has so many extreme ups and downs since his creation in 1964. The last of the big names to come out of Marvel Comics Silver Age, Matt Murdoch has been all over the place. Hell’s Kitchen is his normal stomping grounds, but he spent a bit of time in San Francisco as well. In this issue, a new villain is produced, and it’s one that’s even had a prominent role in a film! 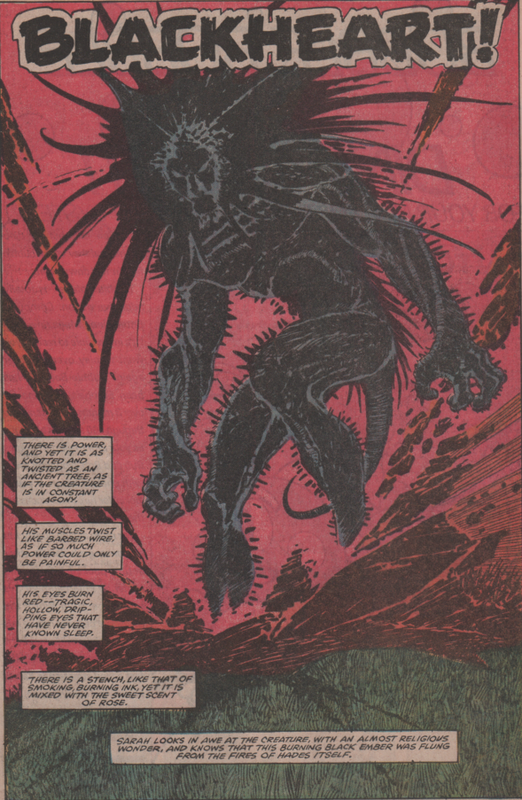 The spawn of Mephisto, Blackheart, is possibly even more vile than his father. Callously killing anyone that he wants, you get the feeling that if DD and Spider-Man can’t stop him, mankind is in big trouble! 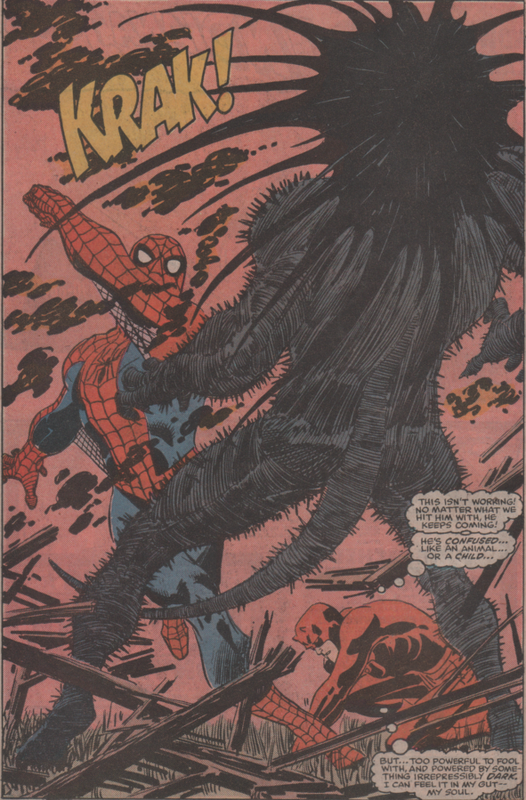 The creative team on this one consists of Ann Nocenti (writer), John Romita jr. (pencils), AL Williamson (inks), Joe Rosen (letters), Christie ‘Max’ Scheele (colors), and Ralph Macchio (editor). That’s a pretty solid line-up with Marvel teetering on the edge of the dark times, and they deliver a solid issue. Nothing spectacular, but a good issue with a team up and first appearance. You’ll notice that Romita jr. hasn’t quite yet developed his now signature style quite yet. There are still some pages/panels that remind you of his father’s work, plus the inker makes a difference in the product as well. 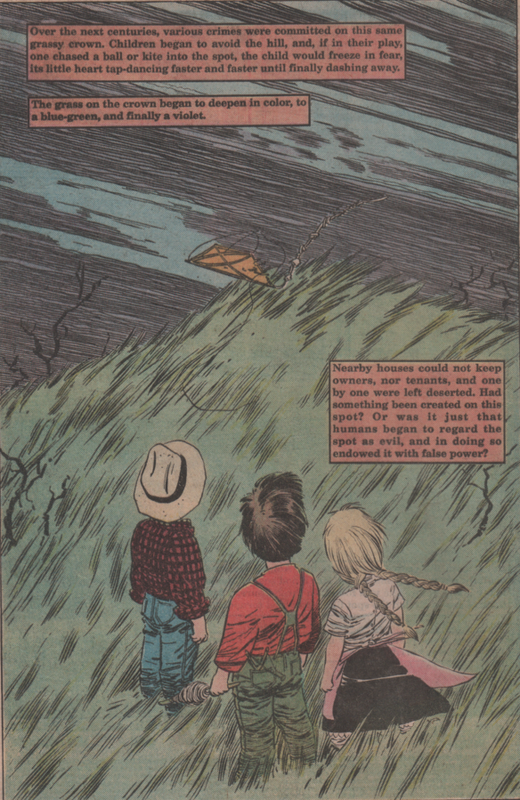 A Devilish Fascination (in comic books)! What is it that makes fear so fascinating? People actively go to horror movies, read books, and even visit tourist attractions touting frequent ghostly visits. I’m sure there’s a clinical term for it (isn’t there one for everything these days? ), but do most people ask themselves this question? Probably not, but after recently asking it in my mind, I struggled to answer the question. Other than just liking to be scared, is there some psychological reasoning behind this or just one of those unexplained phenomenon? Why is there a fascination with the devil/demons and fear in general? Is it the same fear that we get from movies we watch even knowing we’re safe in a theater or our home or perhaps because many of us believe he’s/they are very much real? Most people I know personally believe in the devil, demons, etc., and even if you ask a large contingency of people on another continent, I’d bet most either believe or aren’t quite sure what is and isn’t to be feared either in this life or another. Either way, here’s a quick look at some of the devilish deities from the Marvel and DC universes! 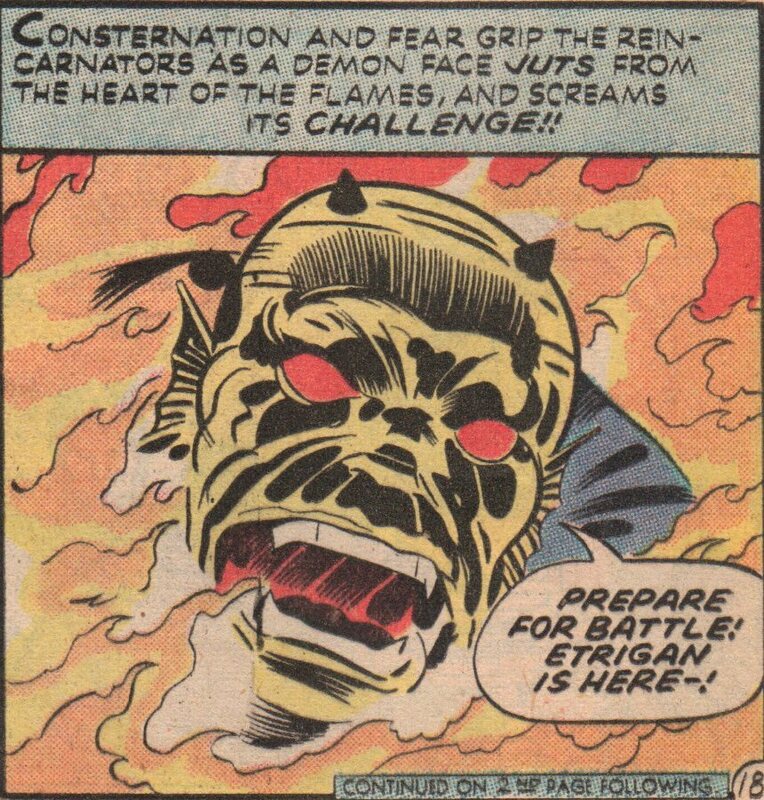 I’ll show some great panels from the likes of Mephisto, Hades, Etrigan, and more! 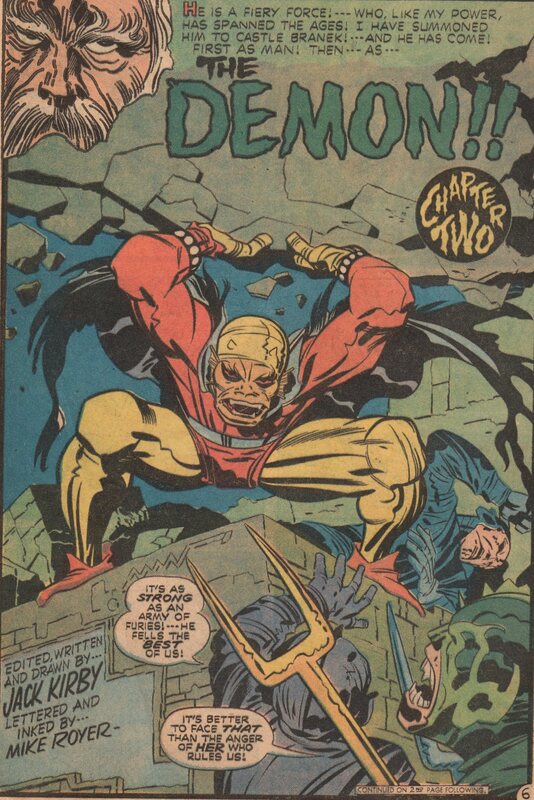 Enjoy (artwork by John Byrne (images 1 & 2) and John Buscema (image 3)- Mephisto, Jack “King” Kirby – Etrigan the demon, Bob Hall – ChThon and other Elder gods, Sal Buscema – Nightmare) ! I typically only talk about single issues of comics when I blog (sometimes two issues), but this OGN (original graphic novel) is one that gets very high praise from me, and as well it should. 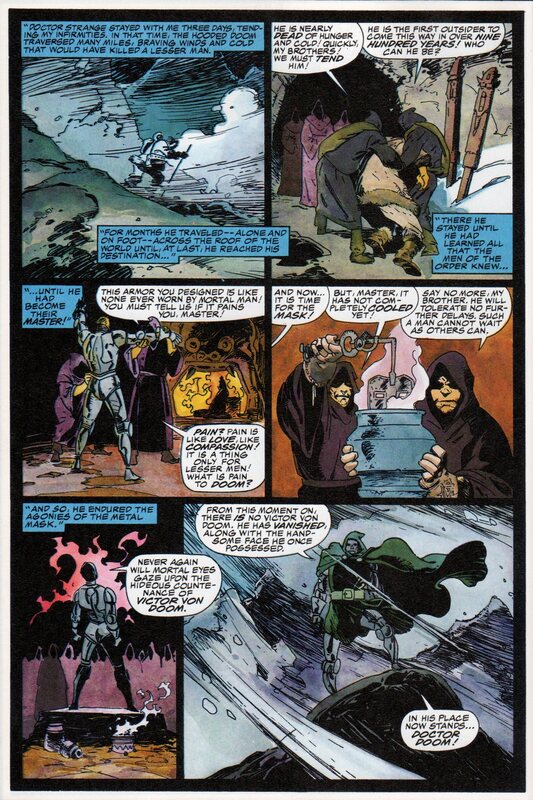 For those that don’t know, Victor Von Doom’s mother was a sorceress, and one day when she wanted revenge, she called out for help from an ancient evil. The evil that answered is named Mephisto. He then had control over her immortal soul, and one day, every year, Doom attempts to wrest control of his mother’s soul from this demonic entity. After quite a few failed attempts, he turned to the sorcerer supreme himself, Dr. Strange, for help. 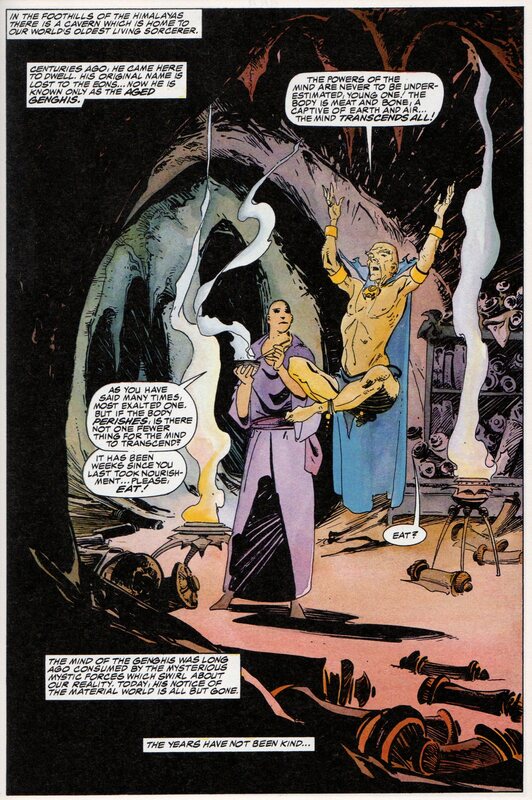 As with everything, though, not all is as it seems with Doom, and his plans for retrieving his mother’s soul from Limbo! Undoubtedly, one of my favorite writers is Roger Stern. 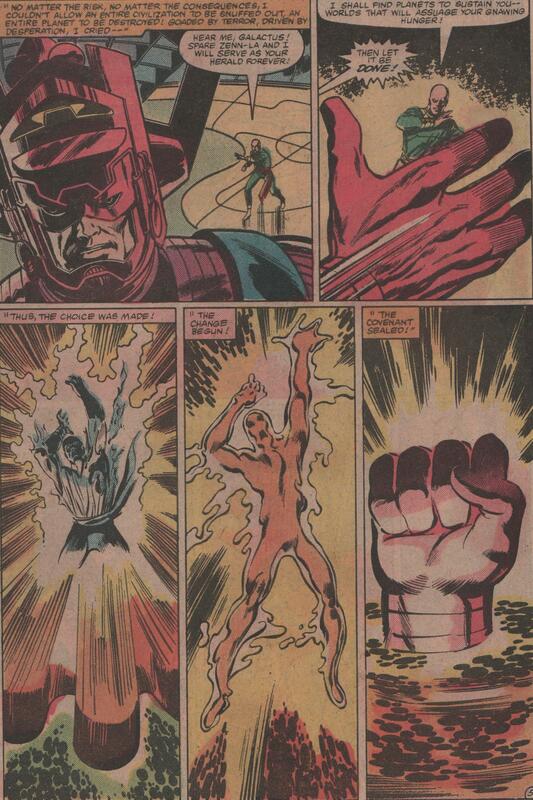 Whether it’s The Avengers work he did, his run on Doctor Strange (1974 series), or his incredible (but way too short) run on Captain America, he always delivered the goods! The artwork is something to marvel at as well. 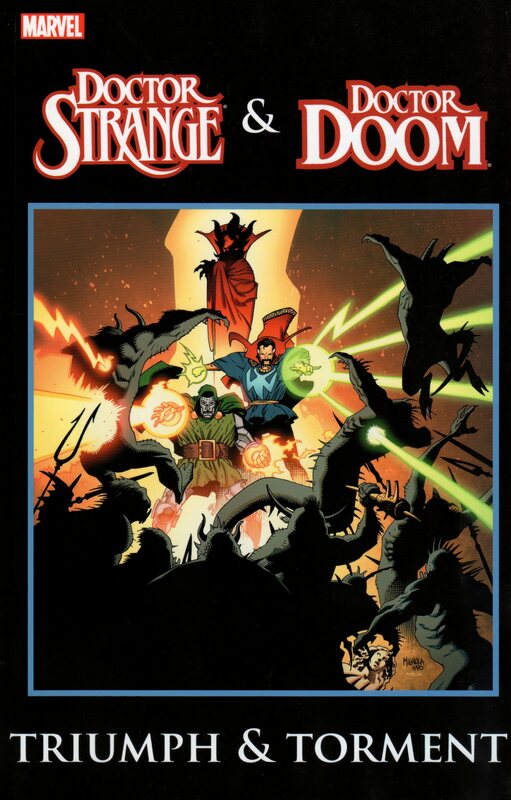 Mike Mignola (pencils) and Mark Badger (inks and colors) prove to be a very good team. 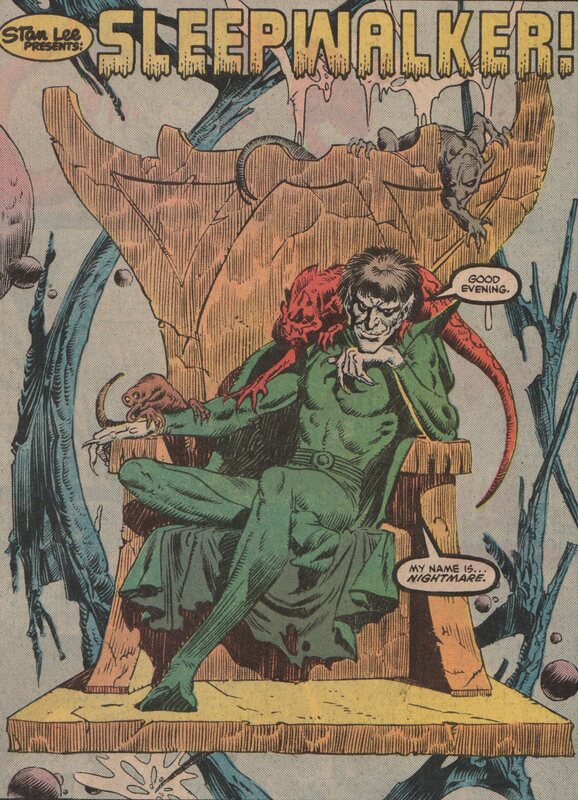 Their rendition of Mephisto is spot on in this story. There is some extra material in the trade I have that fleshes out the characters in this story a bit, and those names are nothing short of iconic as well (Gerry Conway, Gene Colan, Tom Palmer, P. Craig Russell, and more). 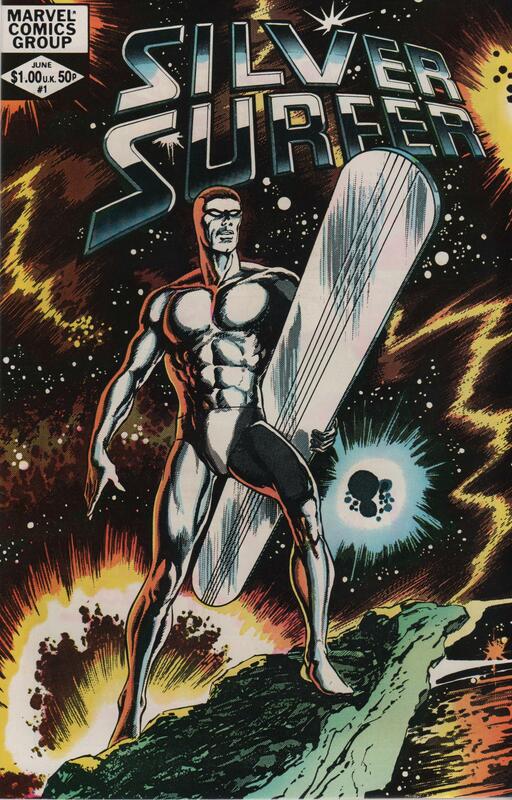 In this awesome issue, we see the Silver Surfer, as he’s trying to break the curse put on him by his former master, Galactus, and leave Earth. He hungers for another chance to scour the space-ways, and see his beloved Shalla Bal again. With the help of the Fantastic Four, he accomplishes this feat, but as we all know, there is always a price to be paid for actions such as these. In this one-shot, we see victory, defeat, agony, and irony. The Surfer, and his enemy forever, Mephisto! 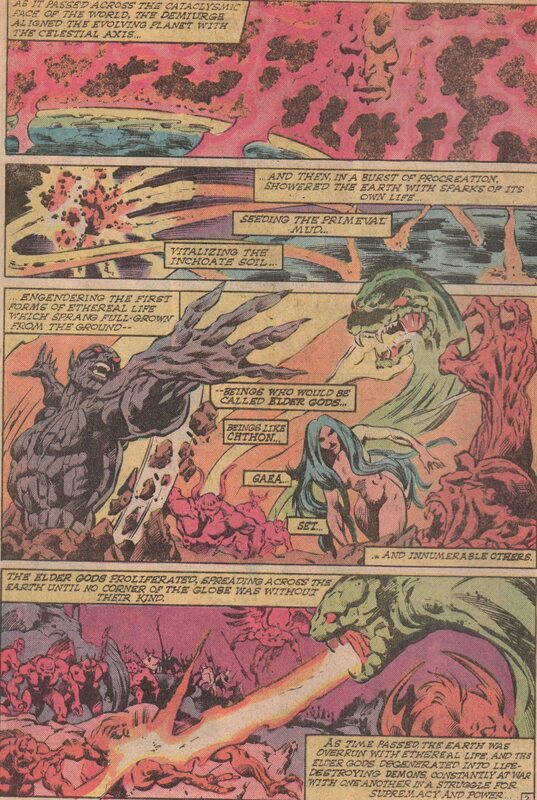 In this one issue, John Byrne gives us an absolute masterpiece. His plot is fantastic, and with a script by Stan Lee, letters by Rick Parker, and inks by the ever-present Tom Palmer, you get one heckuva creative team on this one! 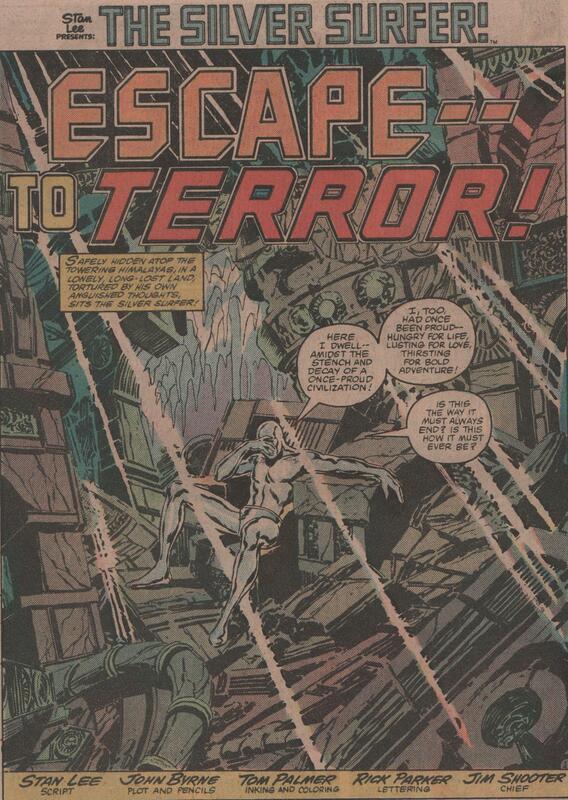 Byrne really flexes his artistic muscles here, and shows a wide range. From the awesome shots of the Marvel cosmic universe, to the demonic depths of Mephisto’s realm, you will be in awe of the details in his work. Check it out! It would be extremely difficult for me to find a better comic in my collection than this one. 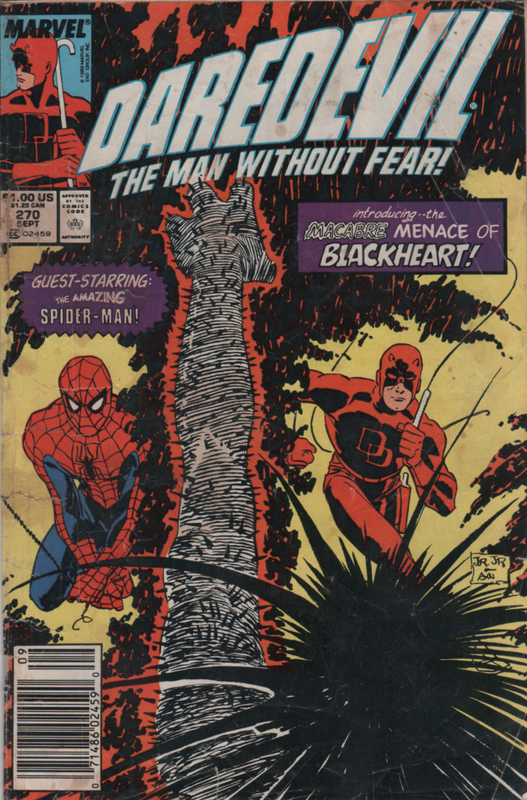 Some might argue it isn’t the greatest story ever told, and I’d probably agree, but when you get a cover by Walt Simonson, and interior pencils by “Big” John Buscema you must agree it’s a top-tier issue! So, basically, that’s enough for me to call it one of the best issues I own. 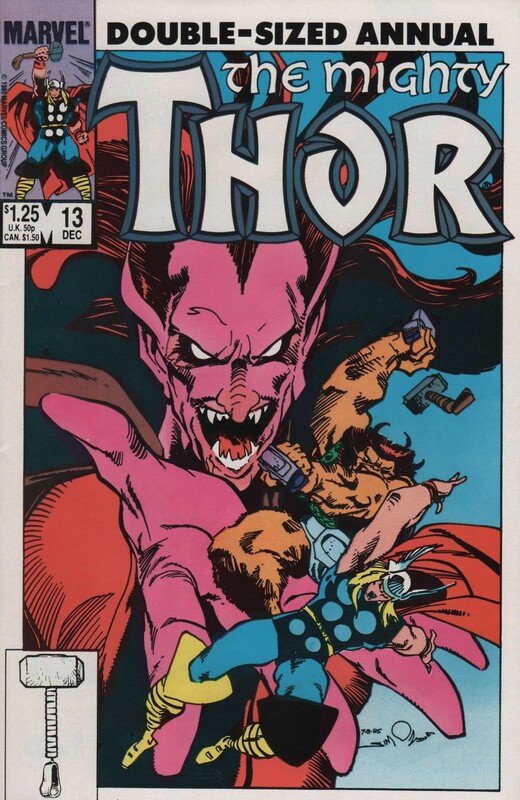 This tale involves the dark lord, Mephisto, as he attempts to use Ulik, the troll, to fight Thor. 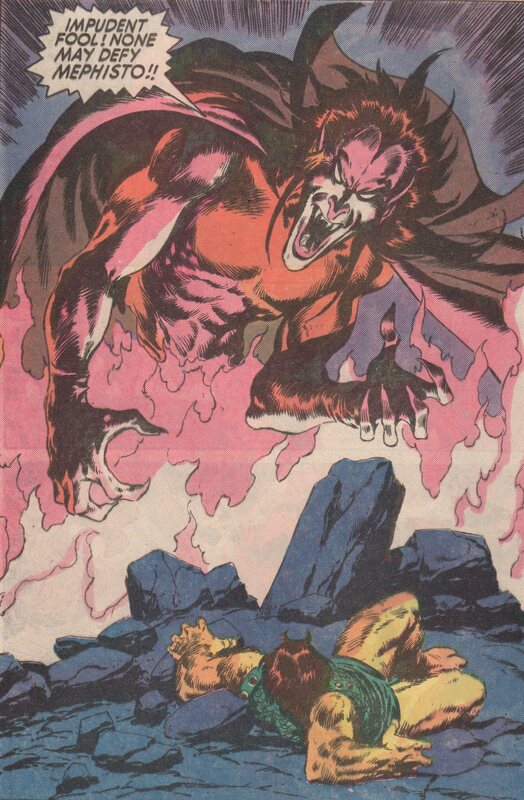 The first few pages show Mephisto plotting in his fiery realm. He tortures some of the tenants (stepping on them as he walks around), and the visuals are just dynamite! 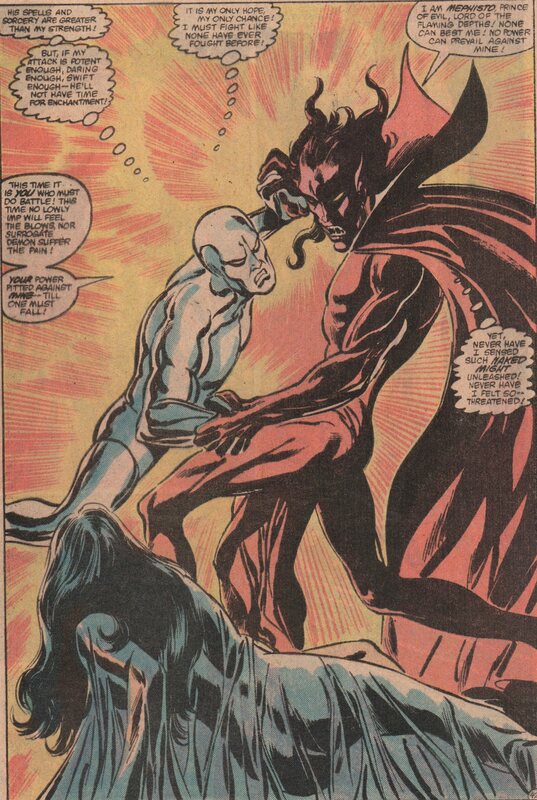 Mephisto tricks Ulik into his service, and then he and Thor do battle. 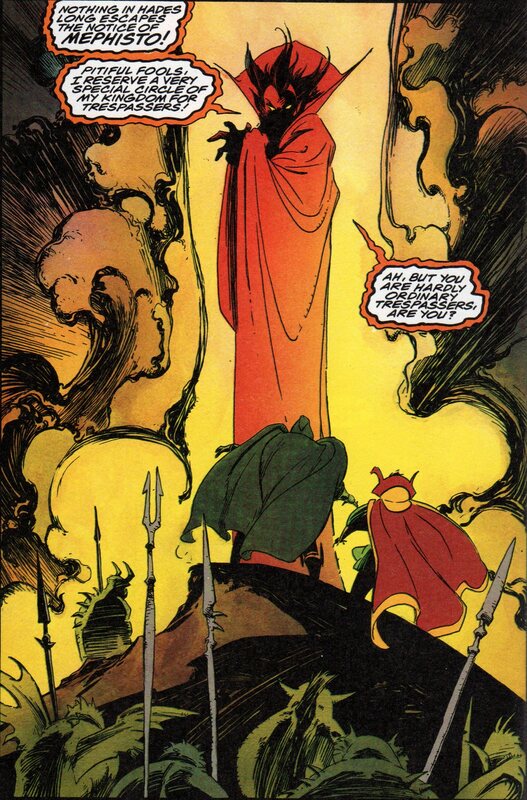 You see, Mephisto thinks he can get to Thor’s soul, now that he’s a bit sorrowful over his father’s death (recently, Odin died fighting the fire demon Surtur). Thor defeats Ulik after some back and forth, but this is only the beginning for Thor. Before he can even take another breath, he’s transported to Mephisto’s realm, and must match wits and brawn against this seemingly unbeatable foe. 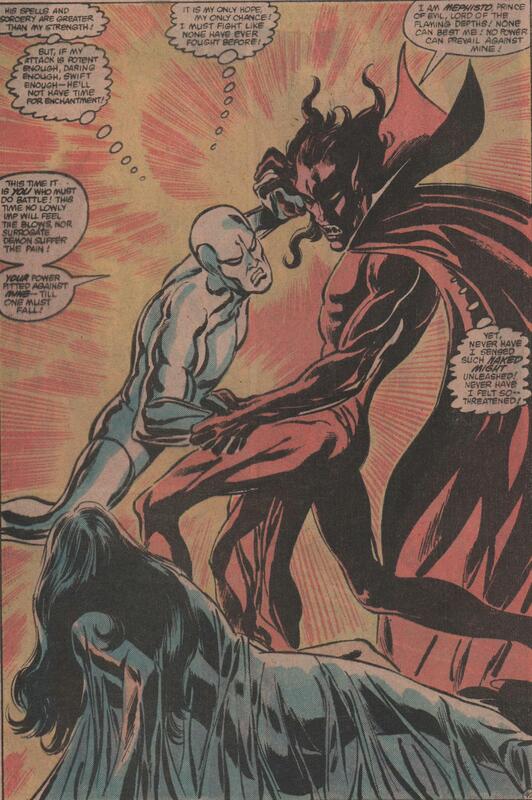 The two spar verbally, and then physically, but Thor is no match for Mephisto in the demon’s home. The evil demon soon realizes though, that Thor has more resolve than he thought. Even after being tempted with the ghost of his dead father, and even his beloved Lady Sif, Thor will not be broken. 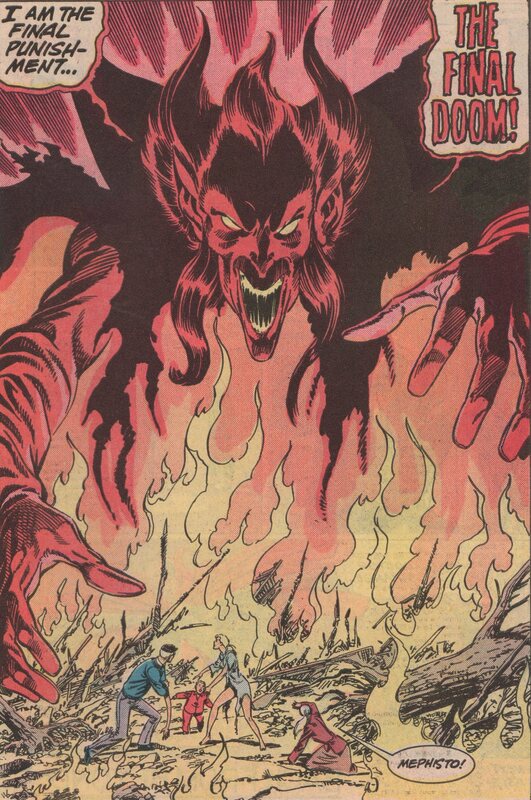 Mephisto does show him that during his battle with Ulik, that a few bystanders were killed. 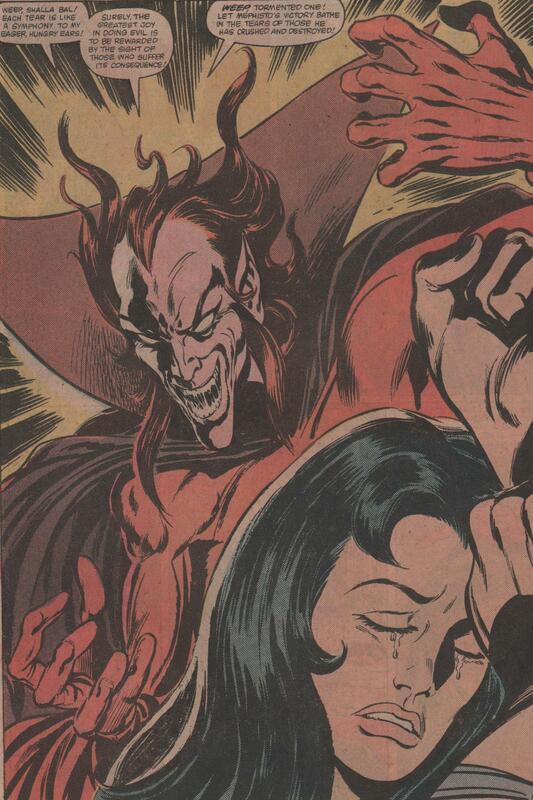 Of course, Thor doesn’t believe him, as Mephisto is the father of lies. 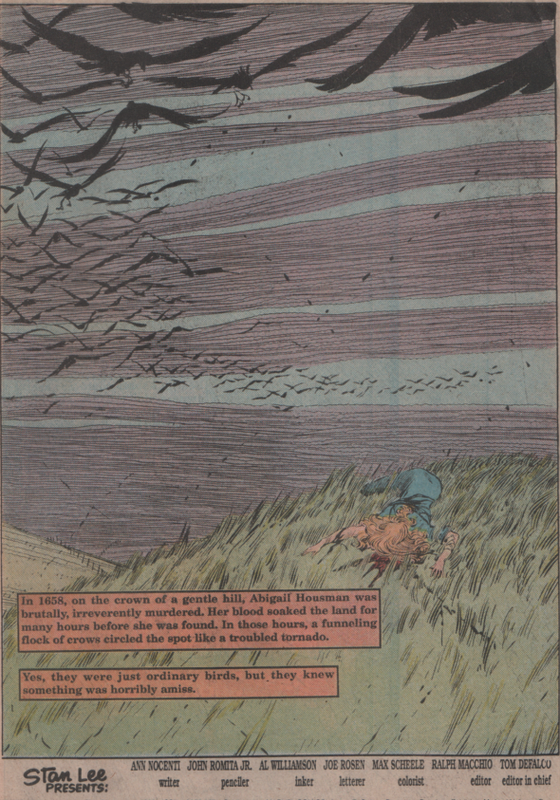 Mephisto releases Thor, but when he returns to Asgard, he realizes that Mephisto was telling the truth about the villagers. 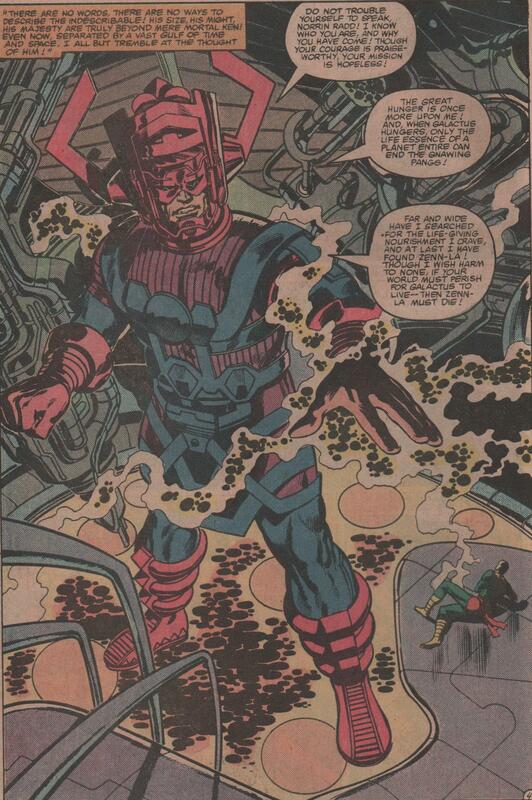 Thor then vows to use everything in his power to fight him forever. 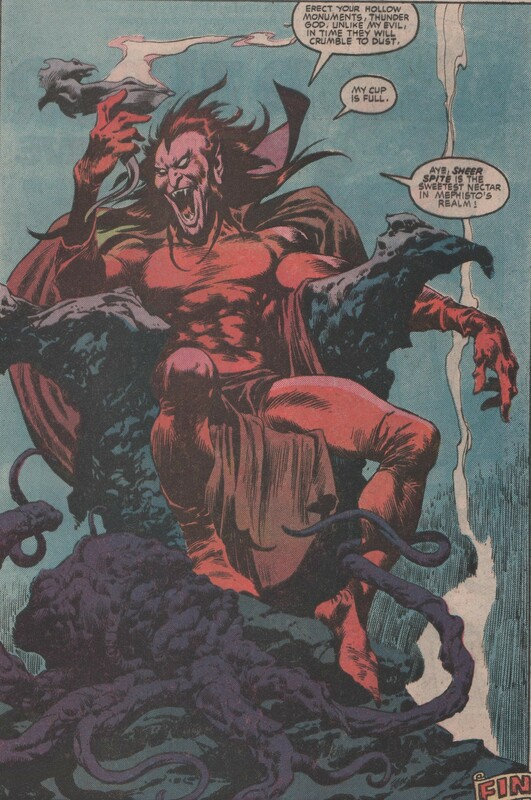 Mephisto laughs, as he basks in the hatred that flows from Thor this day. Alan Zelenetz does tell a good story, and his contributions should not be understated. 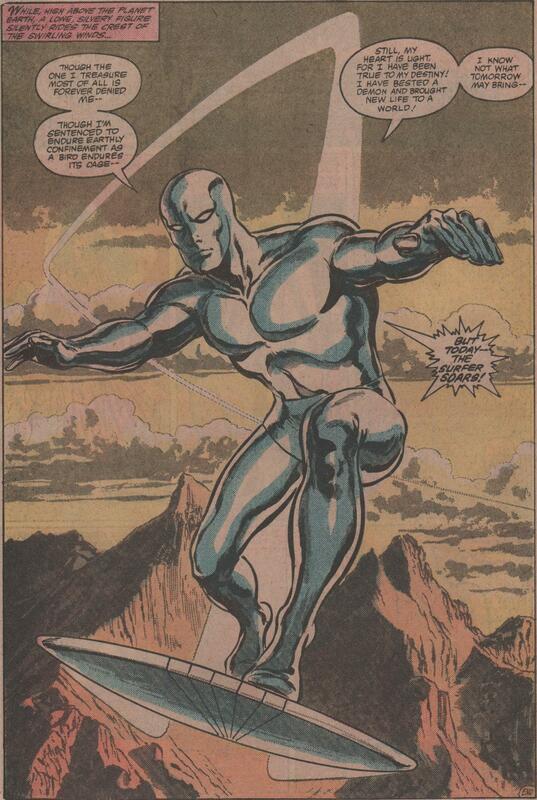 Honestly though, it’s tough to outshine masters like Simonson and Buscema, no matter who you are! See you in three days! No, your eyes do not deceive you! 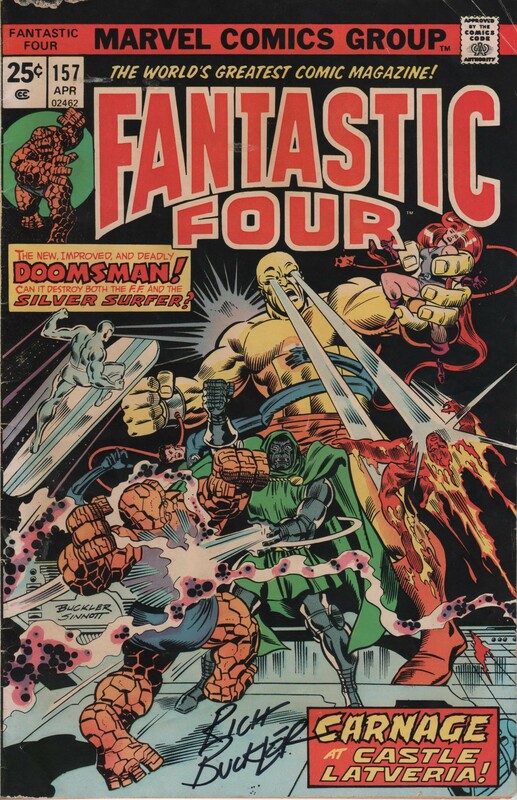 That is one awesome FF cover, that is signed by the artist, Rich Buckler! I had the pleasure of meeting him for a few seconds ay NYCC 2013, and he was gracious enough to sign my oldest copy of this wonderful title! Written/edited by Roy Thomas, Pencils by Rich Buckler, inks by Joe Sinnott, Colors by Petra Goldberg, and letters by Joe Rosen! Enjoy!